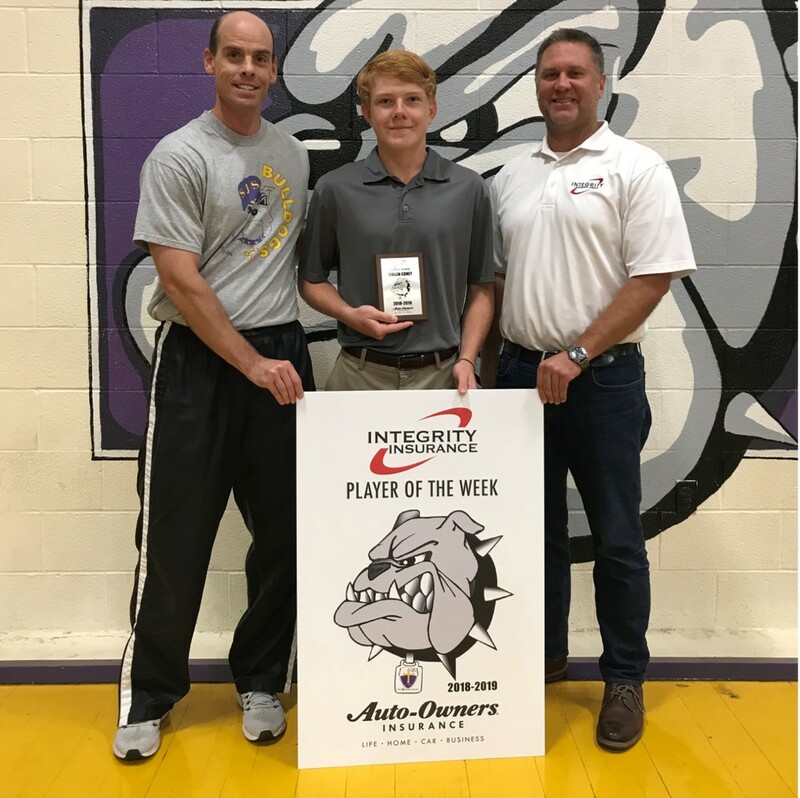 Freshman Collin Coney is one of two St. Joseph athletes chosen as Player of the Week by the Integrity Insurance Company. Collin is currently playing on the Boys Golf Team which is heading to the State Tournament on October 4. He also plays basketball and will be on the baseball team this Spring. He's seen here with Athletic Director Brent Bruich and Integrity Insurance Company President Joey Fulgham.